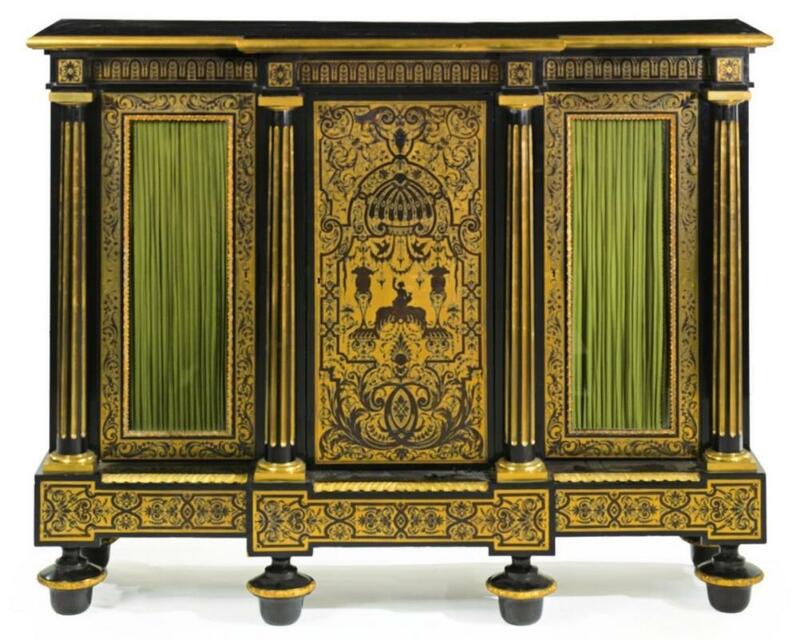 This magnificent, Louis XIV style side cabinet from the late nineteenth century, in the manner of Jean Berain (1637-1711), features three cupboard doors, an ebonized frame with brass and faux tortoiseshell Boulle style marquetry. Measures 55 in high, 71.5 in wide and 22.25 in deep (140.5 x 181.5 x 56.5 cm). 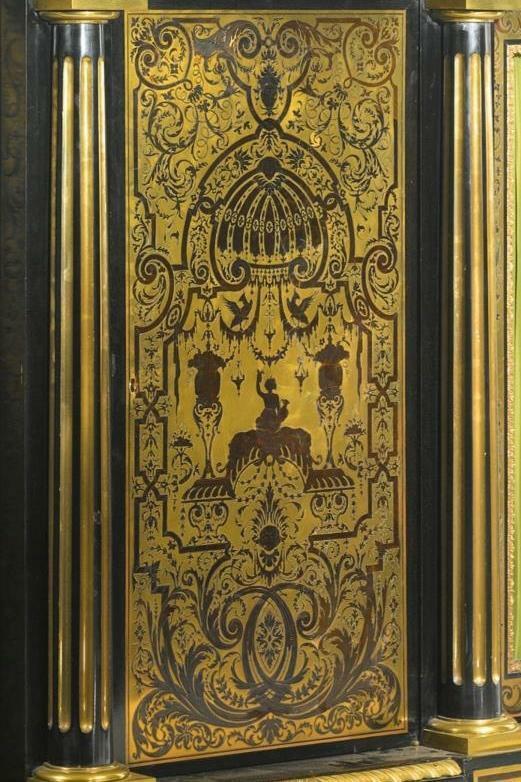 Achieving the title of Architecte Dessinateur de la Chambre et du Cabinet du Roi, Berain was an important and influential designer for the royal court of King Louis XIV. He created designs for ballets and various festivals. His designs influenced not only cabinet makers, but artists and craftsmen in many fields and art forms, including architecture, tapestries, and ceramics. Condition is very good. There are scratches, dents and nicks to the frame and veneers, consistent with age. Brass is tarnished, consistent with age. The tortoiseshell on the upper right corner of the center door has been restored using filler, and there are some small losses to the ebony veneer at a few edges. Provenance: Sotheby's. 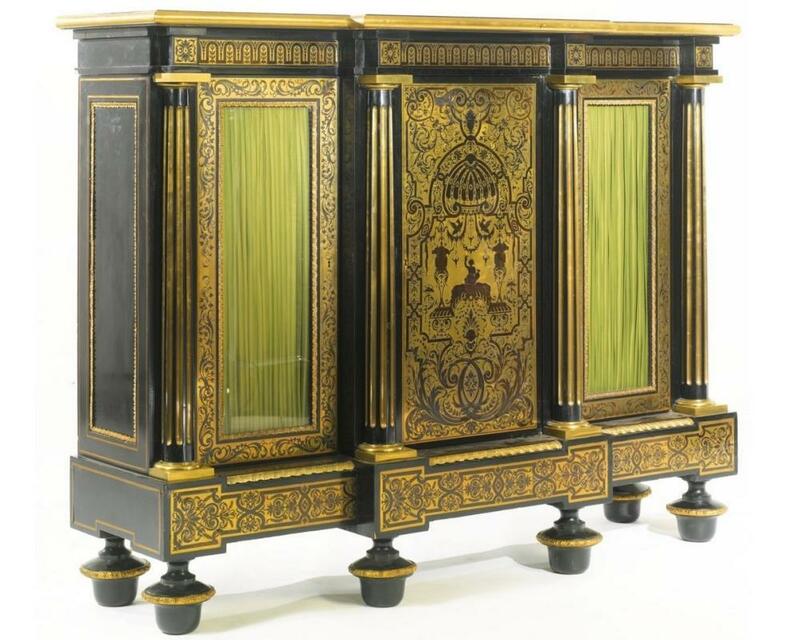 Items Similar To "Antique French Louis XIV Boulle Style Cabinet in Manner of Jean B..."